People of all ages, races and both sexes can develop alopecia areata, but it often first appears during childhood. Children who have alopecia areata go through different stages of awareness and acceptance of their disease as they grow and change. Children five years old and younger appear to experience little emotional impact as a result of their condition. However, as they get older, it may become more difficult for them to accept their alopecia areata and issues with self confidence may begin to affect their experiences at school and with friends. “People who meet my child for the first time wonder if she has cancer.” Sound familiar? Preschool age children are so busy exploring the world, learning new skills, and becoming more independent, that they don’t pay much attention to their own physical appearance, or the differences they may have from others their age. For this reason, children under five years old who have alopecia areata don’t usually experience as much of an emotional impact from their condition. They may see their own hair loss as something interesting, but not much more. And their friends at this age aren’t likely to notice, either. By the time a child is six years old, they’ve begun to interact with more people of all ages and have gained enough experience in the world to start noticing the differences between themselves and others. Between the ages of six and 12, children become much more aware of how others think and feel and they may begin to focus on how others see them, or how their condition may make them seem different from their friends. All of this can make it difficult for older children to accept their alopecia areata. Self-confidence issues may begin to affect their experiences at school and with friends. Even children who have had alopecia areata since they were little may face new feelings and frustrations about their condition and have the desire to “fit in” with other children who don’t have alopecia areata. As a parent, you can help your child educate classmates and teachers and address these feelings with the support of a group or even a professional counselor, so that they can continue to feel confident about themselves, participate in the activities they enjoy and succeed in school. 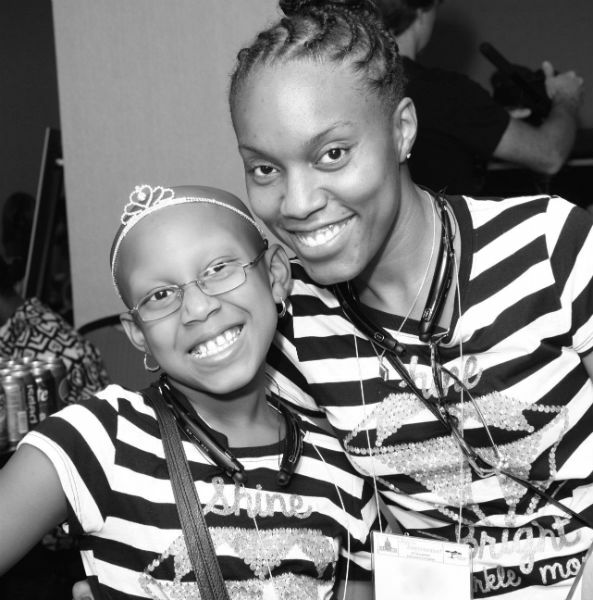 Learn more about how you can build resiliance in the child with alopecia areata. You can join a support group of parents who also have children with the condition and get involved at your child’s school to help teach their friends, teachers and classmates about their condition. Parents of a child with alopecia areata say that it can feel just as traumatic for them as it does for their child. Thankfully, there are many positive and productive things that you can do to cope with your child’s alopecia areata. You can join a support group of parents who also have children with the condition, get involved at your child’s school to help teach their friends, teachers and classmates about their condition, and attend conferences where people who have alopecia areata and their families go to connect with one another and to learn more about the disease — including the latest research news and treatments. Learn more about fostering emotional wellness in children with alopecia areata. Even though alopecia areata is common, many people still don’t know what it is, or the emotional impact it can have on people who live with the disease. That’s why it’s important to educate and inform people at your child’s school about alopecia areata. Doing so can help your child have a more positive and productive experience in the classroom. Learn more about bullying and how to help your child have a positive experience in school.